Twin brothers Pere and Josep Santilari were born in Badalona in 1959 and gradu­ated in 1981 with a degree in fine arts from the University of Barcelona. The Santilaris’ work demonstrates a contemporary sensibility, while their roots and paradigms lie in the clas­sical subjects of art history—the townscape, the painter and his model, and the still-life, all drawn with technical precision. Building on the Spanish still-life tradition of the Bodegón as well as the work of Baroque painters such as Francisco de Zurbarán and Juan Sánchez Cotán, the Santilari brothers depict humble, quotid­ian objects and infuse them with an almost religious reverence, while at the same time referencing contemporary life. Tin foil, plas­tic shrink wrap and cell phones are rendered as meticulously as bread or skin. These ele­ments, taken together, depict the artists’ world: a secular, democratic, and capitalistic Spain that has endured great change over many centuries while maintaining its dis­tinct identity. As natives of Catalonia, the Santilaris also carry an awareness of that region’s distinct cultural and artistic heritage, which includes a strong tradition of Realism. In the nine­teenth century, Realism was introduced to Spain through the work of the Catalan painter Ramón Martí Alsina, who studied the work of Courbet in Paris in 1848, and returned to disseminate his reinvigorated style. This tra­dition remained strong in the region, and can be seen more recently in the work of contem­porary Catalan realists such as Roca di Costa, Carlos Morago, and Jeorge Gallego. Since 1978, when Pere Santilari won the Epígrafe 35 prize and Josep Santilari the Raimon Maragall i Noble prize at the presti­gious Sala Parés in Barcelona, they have been in numerous one-man and group exhibitions across Europe, and both exhibit regularly at the Galeria Artur Ramon. In 2010, their work was displayed at a monographic retrospective at the Aberlmarle Gallery in London. Their work is featured in collections at the Barce­lona Modern Art Museum, the Municipal Art Museum of Pollença (Majorca), the Vila Casas Foundations in Barcelona and Torroella de Montgrí. 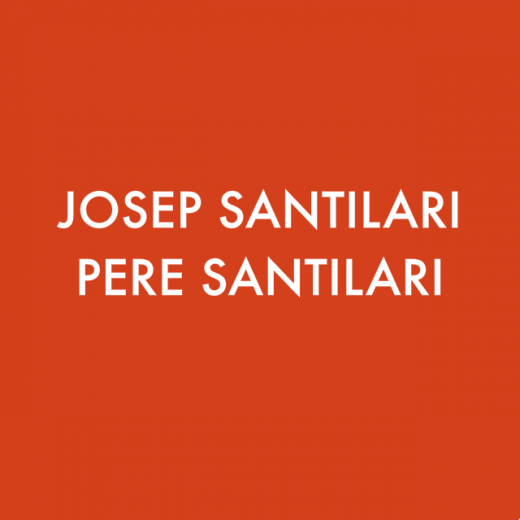 The Santilari brothers share a studio, each producing approximately three paintings and four drawings each per year. This is the first time their work will be exhibited in the United States.